Many thousands of years ago, only one universe had existed. On one planet only in that universe was there life. The end of its evolutionary path was a species that resembled humans. These had attained a science vastly exceeding anything Earth had ever known. Eventually, they had been able to make artificial pocket universes. Another universe contained a single planet which behaved like the plastic in a lavalite bottle. Its shape kept changing. Mountains arose and sank before your very eyes. Rivers were formed within a few days and then disappeared. Seas rushed in to fill quickly forming hollows. Parts of the planet broke off -just like the thermoplastic in the liquid of a lavalite bottle- whirled around, changing shape, then fell slowly to the main body. Many of the Thoans or Lords, as the human beings came to call themselves, left the original universe to live in their artificial pocket universes or designer worlds. Then a war made the planet unfit for life forever and killed all those living on it. Only the Lords inhabiting the pocket worlds were saved. Access to these pockets worlds was gotten through "gates". These were interdimensional routes activated by various kinds of codes. As the Lords became increasingly decadent, they lost the knowledge of how to make new universes. The sons and daughters of the Lords wanted their own worlds, but they no longer had the means to create them. Thus, as was inevitable, there was a power struggle among them to gain control of the limited number of worlds. 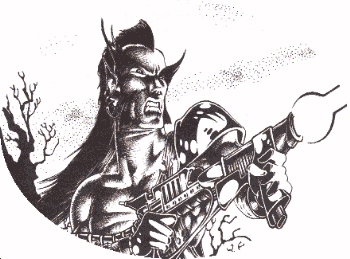 By the time "The Maker of Universe" begins, also time period of THOAN RPG, many Lords have been killed or dispossessed. Even those who have their own universes want to conquer others. That they can live without aging for hundreds of millennia means that most of them have become bored and vicious. Invading other worlds and killing the Lords there has become a great game. If they cannot create, they can destroy.